Over the next several days, about 220 million people in the U.S. will endure bone-chilling temperatures, blizzard-like conditions, or both. In fact, the temperature plunge slated to take effect in many regions between Tuesday and Thursday is expected to shatter records. Temperatures will tumble to 20-40 degrees below zero in the Upper Midwest and Great Lakes. Much of the Ohio Valley, and the interior Northeast may see subzero-cold lows by late-week. For those along the Northeast Interstate 95 corridor, Thursday will be the coldest day -- lows will be in the single digits from Washington D.C. to Boston. “This is the coldest air many of us will have ever experienced,” the National Weather Service said. Protect your pipes. To prevent water from bursting after freezing in your pipes, leave faucets dripping. The water can be left to collect in a bucket and later used for other purposes around the home, such as watering plants or washing dishes. Change your furnace filter. Make sure your home can warm properly by replacing filters. Clogged filters are less efficient. Reverse the direction of your ceiling fans. Blades should be set to turn clockwise to circulate warm air from the ceiling down into the room. Seal cracks. To keep warm air circulating, seal places that may allow warm air to leak from your home to your attic, such as around vent pipes and exhaust fans. Before going outside, consumers are advised to bundle up. Wearing three to four layers is optimal in extremely cold temperatures. All skin, including ears and face, should be kept covered. However, meteorologists say going outside in frigidly cold temperatures should be avoided if possible, as hypothermia and frostbite can occur in a matter of minutes. Replace wiper blades that can't effectively clear the glass. If wiper blades leave streaks or squeal when in use, it’s time for them to be replaced. Keep an eye out for windshield cracks or chips. Cold temperatures can cause the glass to contract, putting stress on any existing damage. A windshield crack is likely to spread horizontally, the company said. Keep coolant at equal parts antifreeze and water ratio. In extreme cases, negative temperatures can cause coolant mixtures to freeze. Keeping this ratio can help drivers avoid their coolant freezing over when temperatures fall below zero. Check tire pressure. 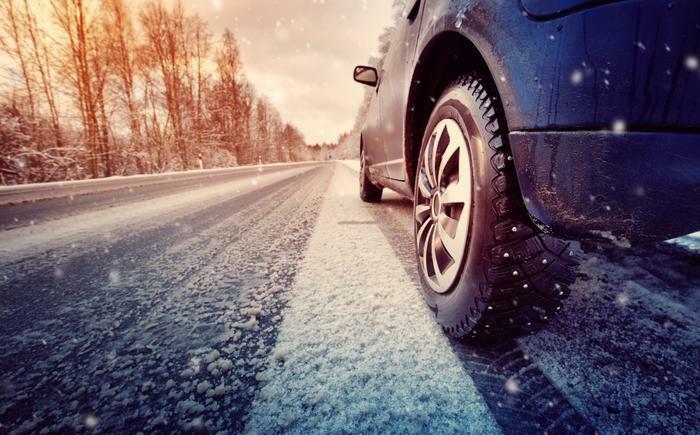 Tire pressure tends to drop as temperatures plummet, which could lead to damage or failure in winter conditions. Check your tire pressures and refer to the tire pressure placard on the inside driver's door sill for proper tire inflation pressures. Make sure your car's battery is fully charged. "Batteries are hit especially hard when temperatures plummet," ACDelco warned. Keep an emergency kit in the car. Emergency kits can be lifesavers, "especially if there is any possibility you could end up on a deserted road with heavy snow falling," the company said.